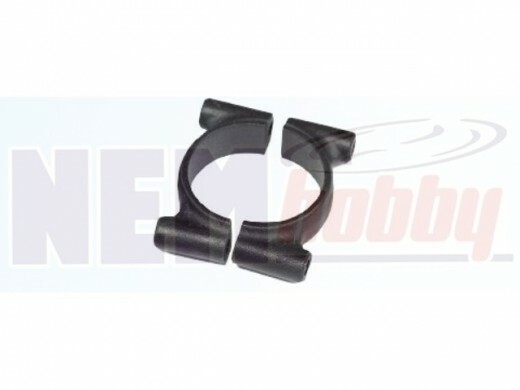 Plastic Boom clamps for 25mm diameter tubes, they offer very good Anti-Vibration absorbance. They are almost 3 times lighter than aluminum clamps. Made by Nylon Reinforced with Carbon Fiber material and have high stress area. We suggest using them on the professional DIY multirotor frames, landing systems, gimbals or anywhere you need a better hardware. Very convenient for 3-axis DIY gimbals, Multicopters, etc.